Nature Day Camps at the Schrader Center provide a safe and supportive environment for children to discover the wonders of nature. 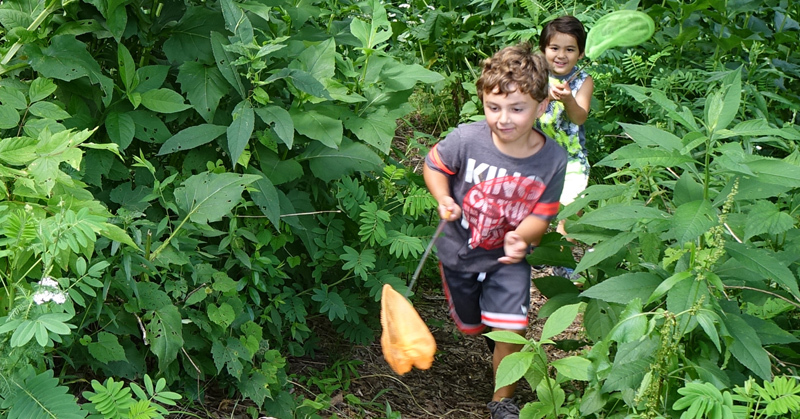 Our campers spend their days exploring and learning about our woods, meadows, streams and local habitats. We believe that a strong environmental ethic can best develop in children who learn to love being outdoors. Our camp builds the foundation for a lifetime of love and respect for the environment. And it’s fun! Nature Investigators and Nature Explorers will swim at Oglebay Park’s outdoor pool on Monday, Wednesday & Friday and will be picked up at the pool entrance. Tuesday and Thursday pickup is at the Schrader Center. Cookouts will take place every Friday at the Schrader Center. Pre and post-care is available for Nature Investigators and Nature Explorers. Call 304-242-6855 to be added to the wait list.